I have never seen Spider-Man move like that, most artists opt to show the malleability of his body but not the speed in his movements. 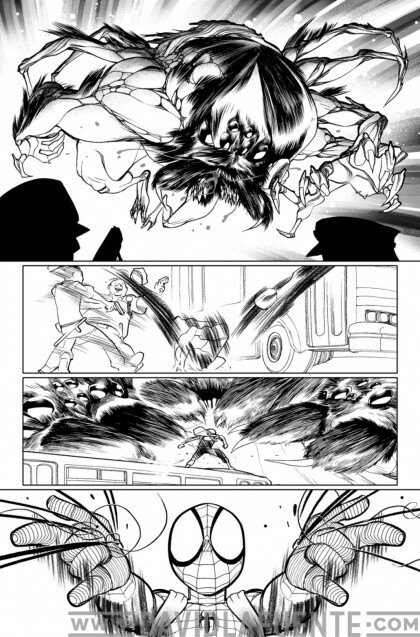 Plus I love the dry brush effect on the motion lines that make it look like charcoal. More stuff like this please. Check out last five issues of Ultimate Spider-Man and the Patsy Walker: Hellcat trade. Daredevil #270-276, 278-282– I picked these up when we had dollar boxes out during Halloween. This was the year of material by Ann Nocenti and John Romita Jr. that was mostly about Mephisto and Blackheart. But within that framework the title dealt with issues of the conditions for animals in meat farming, human cloning, the strength and definition of the soul, the boundaries of feminism, Karnak and Gorgon of the Inhumans were there for some reason but it still made sense. The entirety of the story is spent in rural areas and on backroads. Hell’s Kitchen, Matt Murdock, Foggy Nelson, really any familiar element of the Daredevil mythology is NOT at play here. It’s these things that make this run so compelling, it’s not an ode to Frank Miller or Born Again, as soooo many Daredevil stories have been. Easy to find and worth reading. Paul Tobin– He has pretty much become the man behind Marvel’s kid-friendly comics. The wonderful thing is that there incredibly entertaining, smart comics that are truly ALL-ages. Of particular note is Marvel Adventures Spider-Man which is effectively practicing the done-in-one with continuing sub-plot structure of classic Marvel. 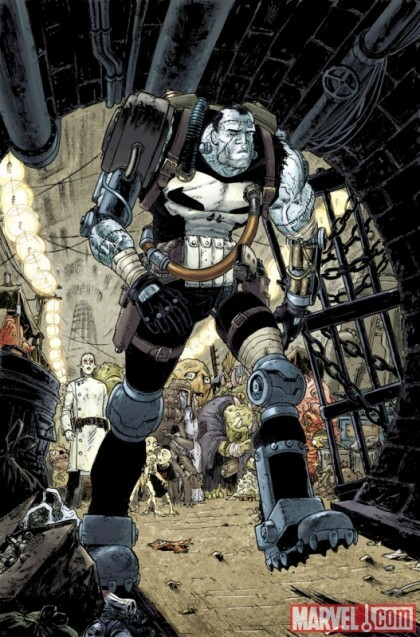 Frankencastle-From Punisher #11. I love comics. Deathlok the Demolisher– The current mini series out now and I did a 180 on my opinion of it. I dismissed it outright after the first issue but upon re-examination it’s actually a bit of B-Movie on Cable stupid/awesome piece of fun. This is the hard strong stuff the sort of thing that you cleanse the palette with after reading like a Chris Ware book or something. Man between this and the last thing I guess I’ve got a thing for cobbled together dead guys. I probably need some help for that. Fantastic. He’s also good at doing a silent disapproving glance from behind the newspaper. Daniel, this blog-post made me laugh-out-loud several times. Especially the Supe’s Pal cover. 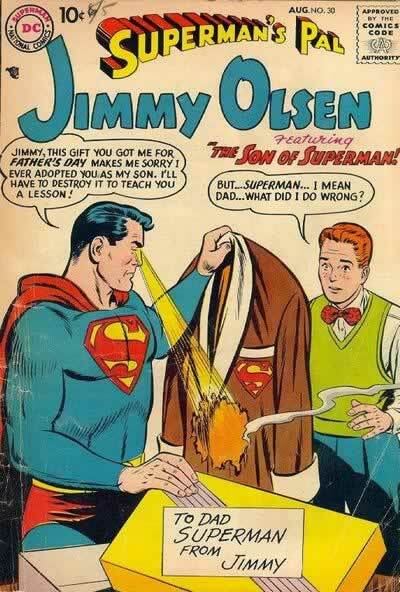 “But…Superman… I mean dad… what did I do wrong? “Tableaus of psychological torture – Awesome! Yeah, goodern, Danielson! I love comics too. ← LET’S KEEP IT FRIENDLY!